Since more than 6 generations, the Lartigue family is attached to the ground of Listrac. It is into 1973 that Bernard LARTIGUE becomes the new master of the winegrowing estate. In truth médocain in the line of its ancestors, and deeply attached to the true values médocaines, it is with passion that it will create the properties Château Mayne Lalande (Listrac), Château Myon of Enclos (Moulis) like Les Cinq SENS of Château Mayne Lalande, its house of hosts. 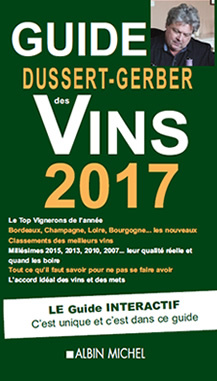 A perfectionist, rigorous, demanding character of a vine grower liking work well done leads it to the permanent research of excellence but also to call itself in question each day to obtain the best potential of the soil in order to work out high-class wines, having a very long aptitude for ageing. Its Listrac Médoc 2014, 60% Cabernet-Sauvignon, 30% Merlot, 5% Cabernet franc, 5% petit verdot, extremely well high out of barrels (30% of new barrels), is rich in bouquet as out of matter, with balanced tannins, complete, elegant, all in mouth, with the nuances of blackcurrant, truffle and humus. The 2013 is very successful, elegant, with rich and velvety tannins at the same time, all in aromatic smoothness (leather, currant…), a wine of garnet-red color constant, quite vigorous, to envisage with a veal chop with breadcrumbs to the Milanese or skewers of lamb. The 2012, particularly tasty, of beautiful color supported crimson, with the cinnamon and raspberry notes, of a great harmony, is very scented, séveux, generous and persistent. The 2011 (50% of new barrels), is all in mouth, with dominant of roundness, closes in mouth, all in aromatic nuances (black cherry, grooves…), of very good evolution.